The OPW 14 Series nozzles feature innovative patented spout technology, designed to serve up a cleaner, greener fueling experience for your customers. Read below to learn more about how your customers can have the cleanest fueling experience at your station. 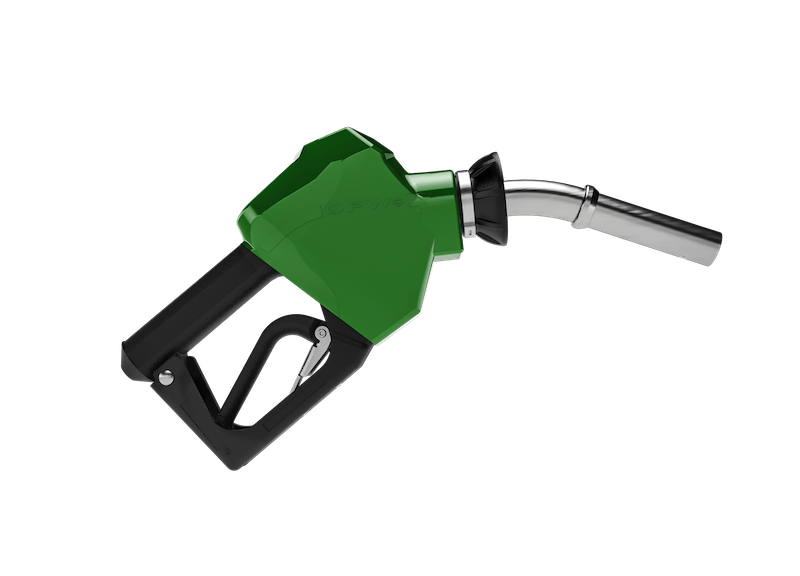 The new OPW 14E dripless spout technology is designed to keep gasoline from dripping on your customers’ hands, clothing, vehicles and the ground to provide a cleaner, greener, and more satisfying customer experience. The CARB ECO OPW 14E utilizes a special interlock system inside the bellows to activate the flow of fuel. 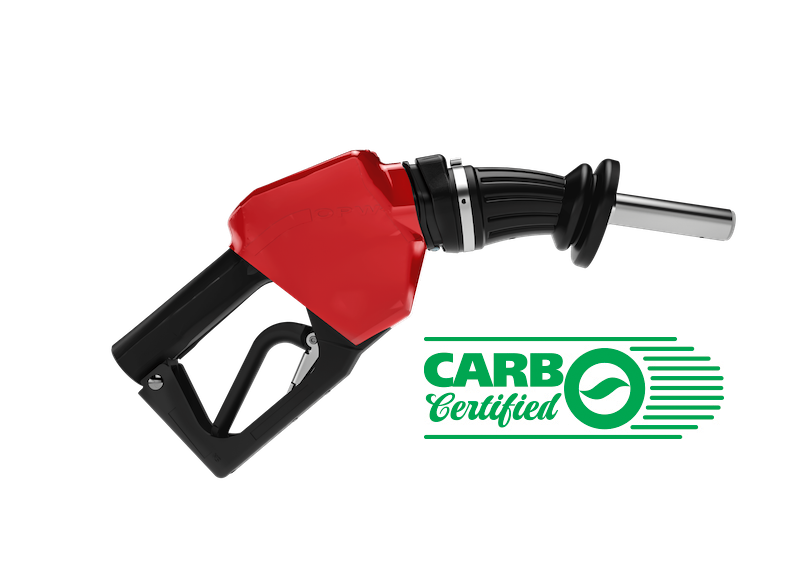 The 14C nozzle sets a new consumer standard and expectation in diesel fueling with the introduction of its patented* diesel-capture technology. At the conclusion of the diesel-fueling process, any excess diesel fuel that remains on the spout will migrate back to the capture device. This excess diesel fuel is fully secured in the diesel-capture chamber until the next fueling cycle begins, resulting in a cleaner fueling nozzle and an overall cleaner fueling site that is more appealing to customers. 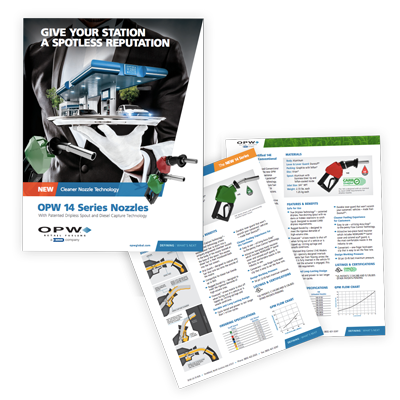 By filling out the form below, you'll immediately receive access to OPW's 14 Series brochure, individual nozzle data sheets and catalog pages — giving you all the tools you need to create a cleaner fueling experience for your customers. © 2018 OPW, A Dover Company All rights reserved.